Here you can find an overview of things that keep me either off the street or on the road. On this page you’ll find unregular updates about my mixed activities, misleadingly called ‘news’. 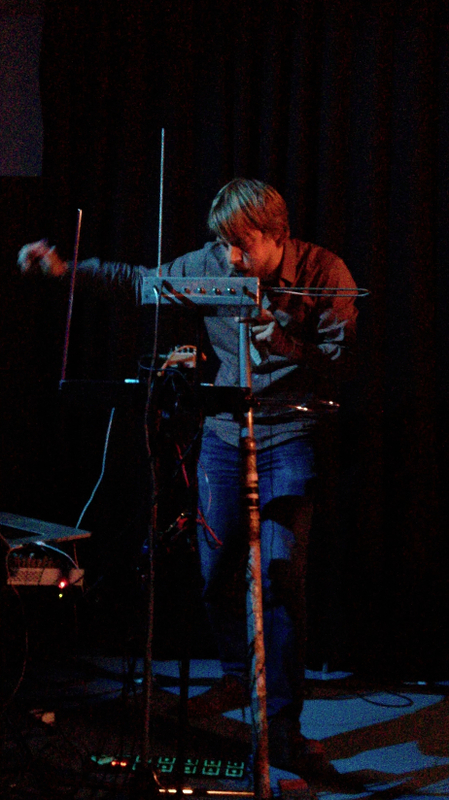 Theremin performance in Grand Theatre.. Solo & with Knalpot! 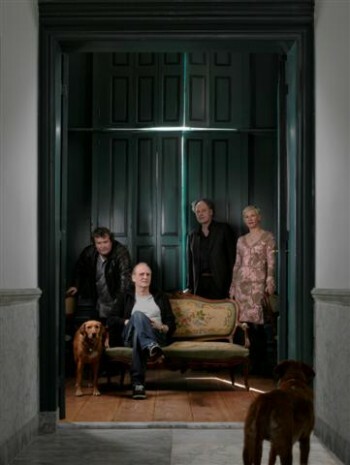 In the Electro Acoustic Sessions festival at the Grand Theatre in Groningen (18 and 19 may), the theremin will be featured in a couple of performances. I’m particularly happy though that I’ll also perform there, on saturday, the 19th. 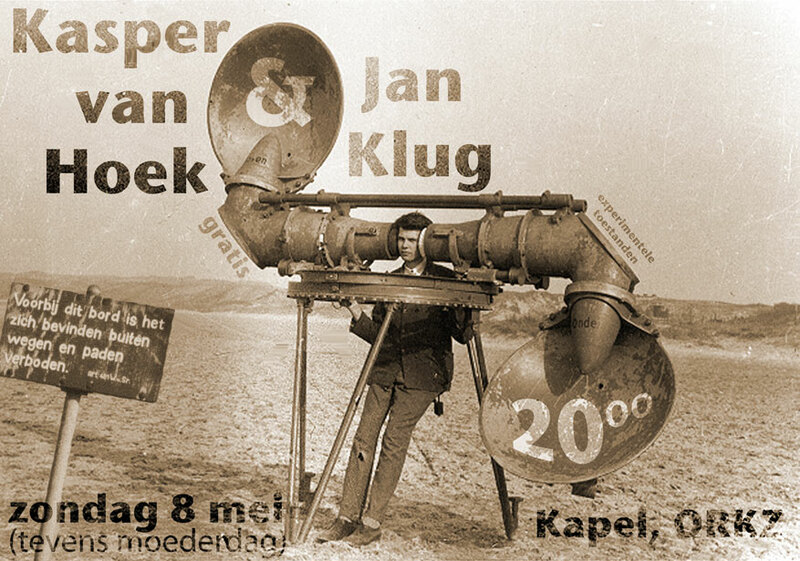 Starting with a solo performance (where I’ll not only play with my double theremin setup, but also with the wireless hands-controller-setup that I developed at Steim last month), I will then be joined by one of my favorite bands – Knalpot from Amsterdam – for a [probably quite wild] set. Later that night, Knalpot will finish off the festival with their standard-lineup (Raphael Vanoli on guitar & Gerri Jäger on drums), but in-between, the nice people at the Grand Theatre programmed a special treat: One of the best thereminists in the world, Pamelia Kurstin, will perform solo! 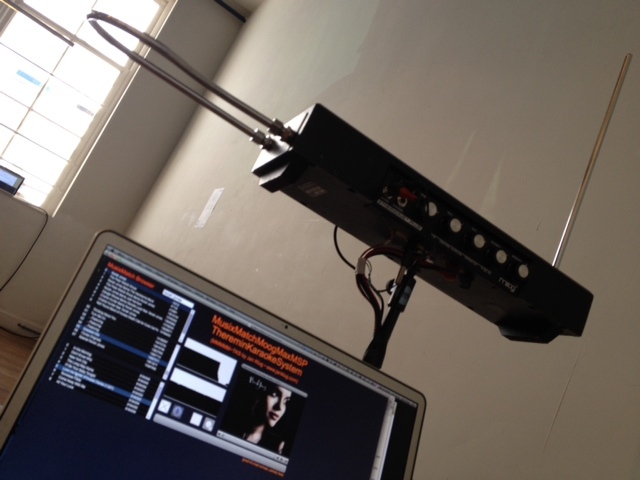 At MusicHackday Amsterdam on march 23 & 24 2012, I developed the MusixMatchMoogMaxMSP (aka MMMMM), the ThereminKaraokeSystem. 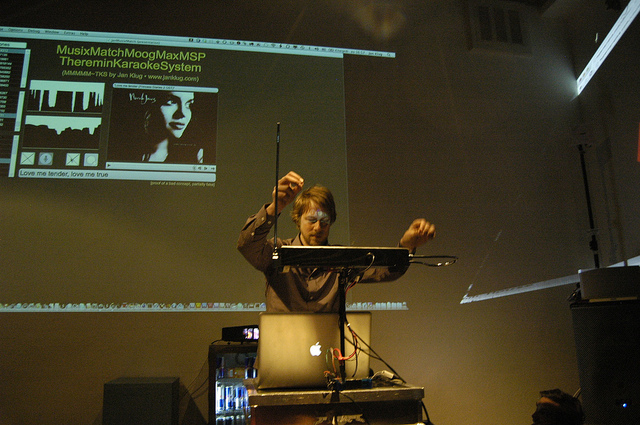 This system allows the user to browse the MusixMatch library for lyrics & subtitles, and then “sings” them by theremin-controlled VoiceSynthesis. The perfect solution for those evenings when you are forced to sing Karaoke while you don’t want to use your voice but accidentally brought your Moog Etherwave! Stay tuned for more documentation & media! Upcoming concert; confusingly automated DIY strings vs electronically alienated wind instruments… Looking forward! 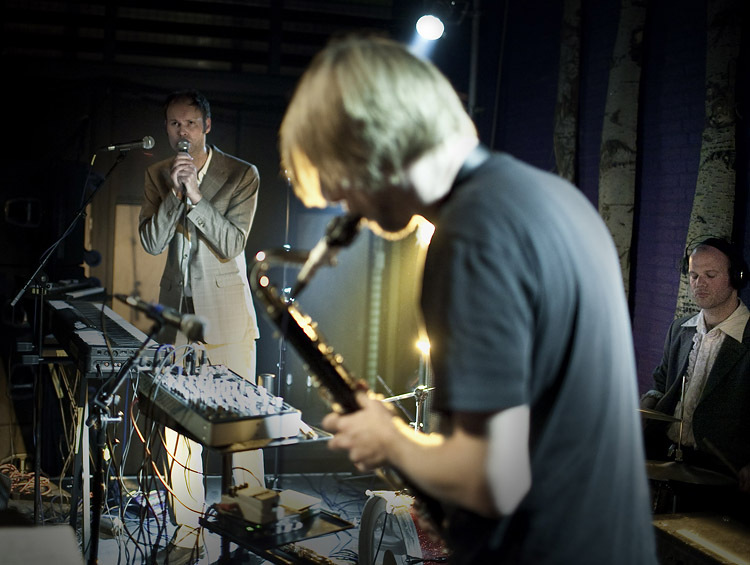 People in Groningen these days have some chances to witness a live performance by AUSPUTZER, my [after 1 year still] new band, featuring Meindert Talma on voice / piano, Corneel Canters on drums and Fons Sluyter on double bass. As part of the Gronnsonic / Eurosonic festival, we’ll perform in Cafe Koster on january 13, and january 30 we’ll play in the Paleis. This clip I edited from the movie archives of GAVAGroningen for Ausputzer’s performance at Noorderzon festival 2010 (Format GAVA). A dance performance by Roni Haver & Guy Weizman (Club Guy & Roni) running at the Staatstheater in Oldenburg (Germany). Next to performing live visuals and electronic sounds in this performance, i made a videoclip for the final piece of the performance – “Salve Regina” by Arvo Pärt. february: Wed 2., Su 20., Su 27.
march: Fr 11., Thu 17., Tu 22. In the period from february till may 2010, I’ll be on tour through the Netherlands – not continuously, but regularly. I’ve performed together with writer Christine Otten quite a lot in the past few years. For this tour however, called ‘Literaire Revue‘, the group of writers additionally consists of Herman Koch, Michiel Romeyn (both known from Jiskefet) and Frans Thomése, and Bertram Mourits joins me for the music. Check the dates of concerts in the agenda!